You might heard that a certain Sony Vaio slider laptop – said to be called Vaio Duo 13 and will be launched at this year’s Computex – was leaked into the net last month. Well, we believe that we can now say that the device is indeed real based on what we saw at Intel’s 2-in-1 computing press event yesterday. 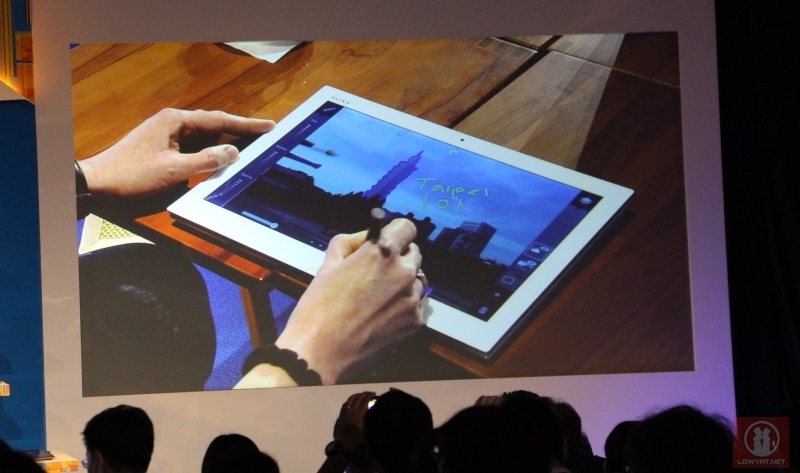 Powered by the new 4th generation Intel Core processor a.k.a Haswell, the sliding laptop also features an active stylus as well as the new Sensible Vision facial login solution. 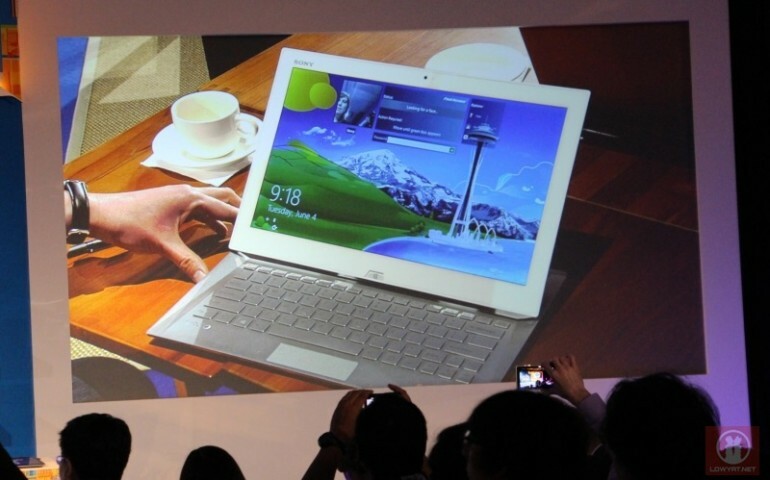 If you can recall, Sony has previously released the Vaio Duo 11 which features the same form factor and sliding design. Nevertheless, Intel has pointed out that the new device will part of Sony’s own launch event which will take place in Taipei later today, so you should be hearing more about it once the Japanese electronics giant officially unveils it to the world in few hours’ time.